"Clatskanie River and Beaver Slough, Oregon"
Click image to enlarge Clatskanie River at Point Adams. 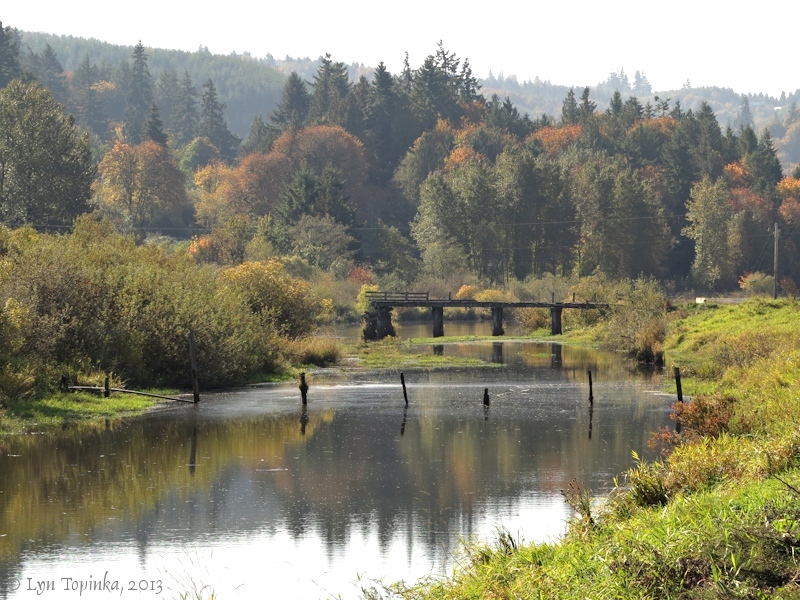 The Clatskanie River merging into Wallace Slough. View from Point Adams Road bridge, with the Westport Slough floodplain on the left and the northwestern tip of Anunde Island on the right. Image taken February 21, 2005. 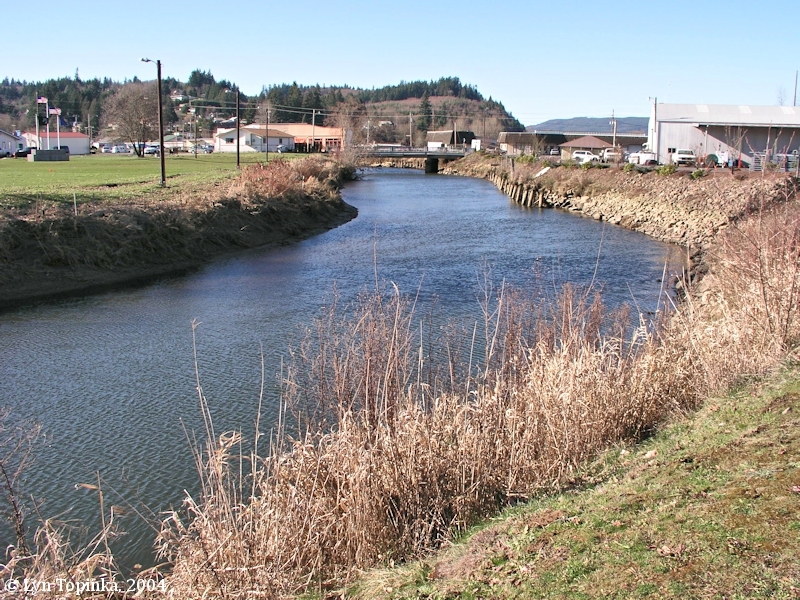 The Clatskanie River is a tributary of Beaver Slough. 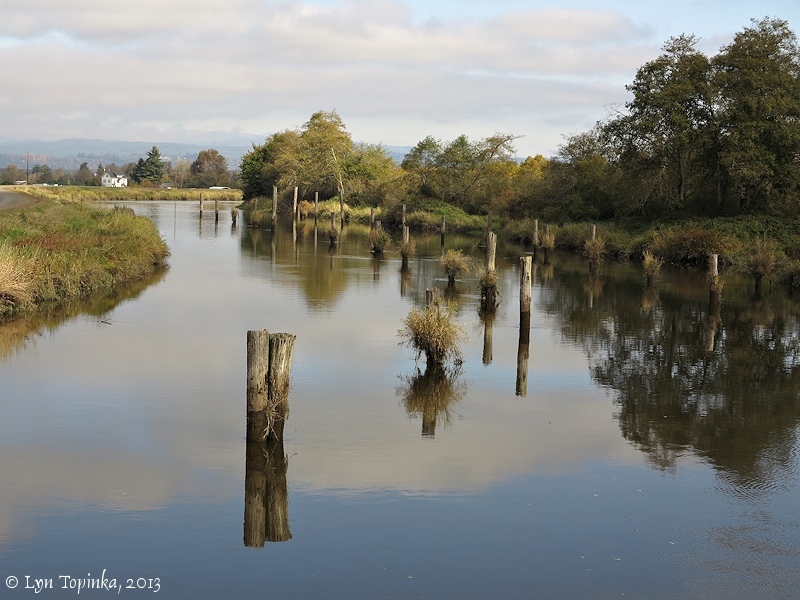 The mouth of Clatskanie River/Beaver Slough enters Wallace Slough near the upstream end of Wallace Island, at Columbia River Mile (RM) 50. Wallace Slough separates Wallace Island from the Oregon shore. 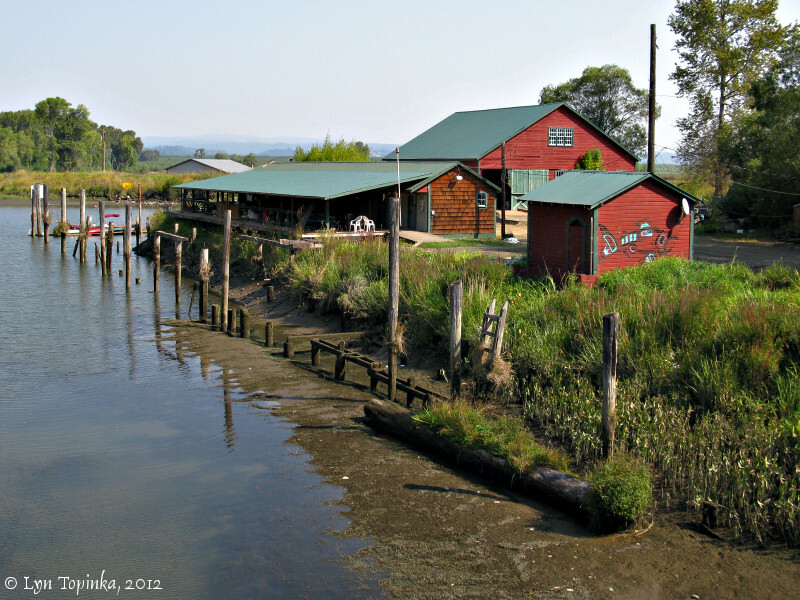 Four miles upstream on the Columbia is Port Westward and Crims Island. 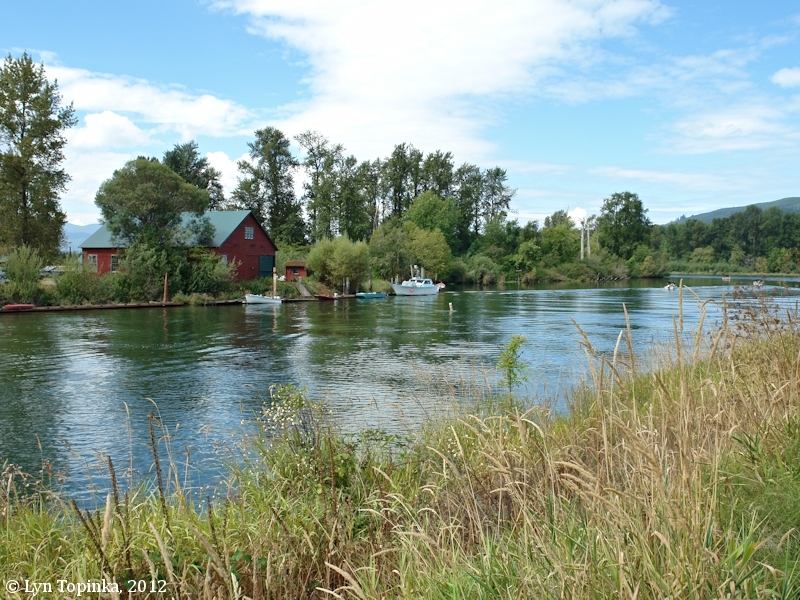 Further upstream is Green Point and the small Oregon community of Mayger. Four miles downstream is Puget Island. 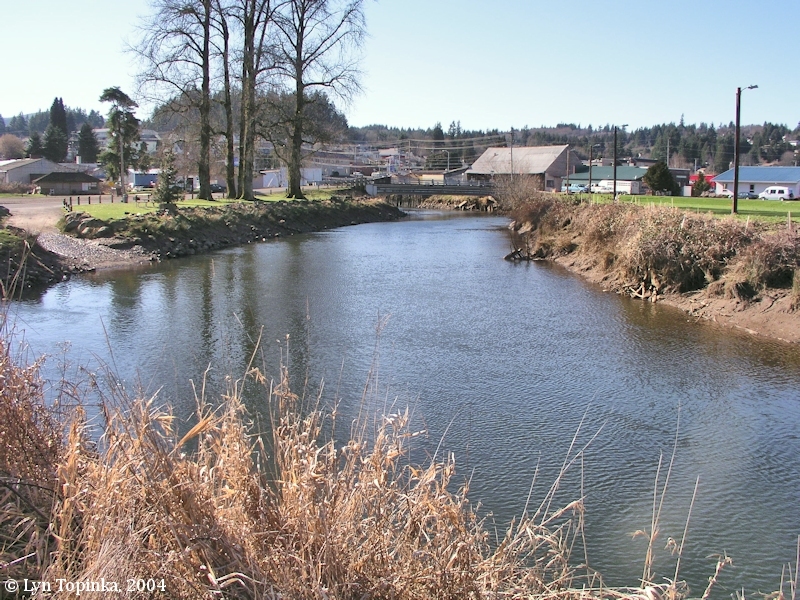 The Oregon community of Clatskanie lies at Clatskanie River Mile (RM) 3. 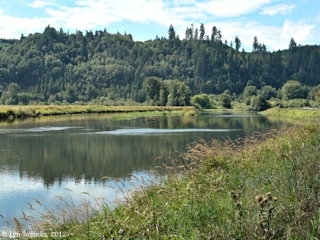 Click image to enlarge Clatskanie River near Wallace Slough. View of the main branch of the Clatskanie River (often seen labeled "Beaver Slough"), just upstream from where it merges with the Wallace Slough. View from Erickson Dike Road looking towards the northeastern tip of Anunde Island. Image taken August 28, 2012. 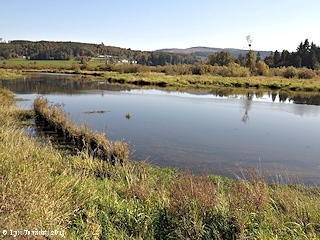 Beaver Slough is a major slough meandering through this Oregon section of the Clatskanie floodplain. 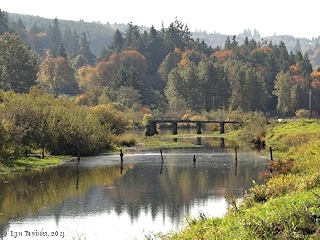 Beaver Slough merges with the Clatskanie River approximately 2 miles upstream from the Clatskanie merging with Wallace Slough. Click image to enlarge Beaver Slough, Oregon, looking west. View from Erickson Dike Road. Image taken August 28, 2012. 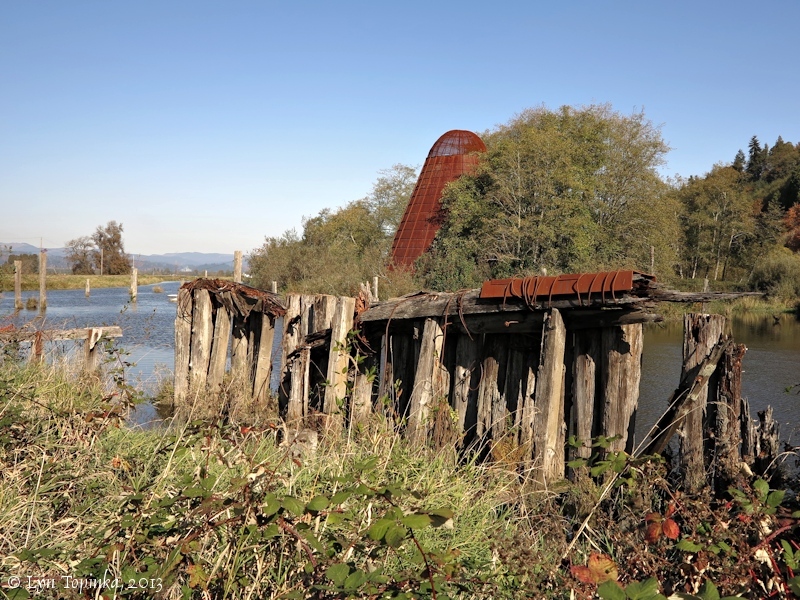 Click image to enlarge Beaver Slough, Oregon, looking northwest. View from Collins Road. Image taken October 17, 2013. 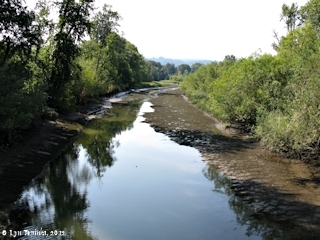 Click image to enlarge Beaver Slough, Oregon, looking northeast. View from Beaver Dike Road. Image taken October 17, 2013. Click image to enlarge Beaver Slough, Oregon, looking southwest. View from Beaver Dike Road. Image taken October 17, 2013. 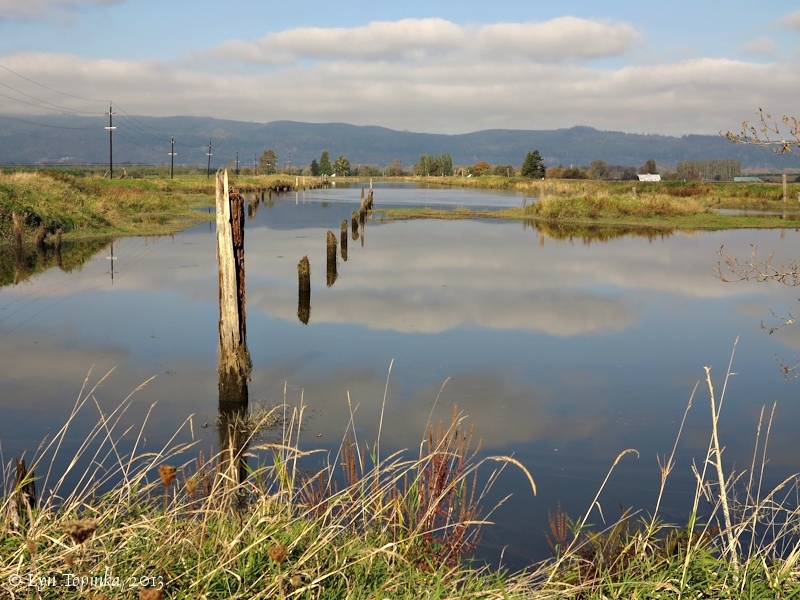 The Clatskanie River and Beaver Slough floodplain stretches from approximately Columbia River Mile (RM) 50 to RM 57. The Oregon development of Port Westward, once the location known as "Oak Point", lies in the middle at RM 53. The floodplain contains many sloughs, wetlands, and grassy fields, levees and dikes as is used primarily for farming and lumber activities. Lewis and Clark called this floodplain "Fanny's Bottom". 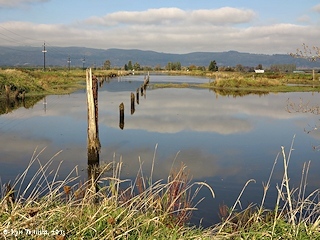 The Westport Slough floodplain lies west of the Clatskanie River/Beaver Slough floodplain, stretching from RM 43 to RM 50. Click image to enlarge Oregon Highway 30 heading west through the Clastskanie River floodplain. View taken from near Marshland and Woodsen. Nicolai Ridge is the far ridge visible on the right. Image taken September 22, 2012. 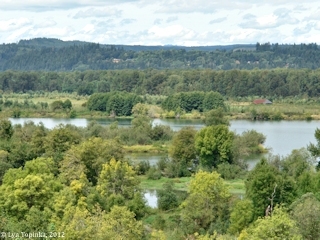 Click image to enlarge Clatskanie floodplain, Oregon, looking north. View from the road to Mayger. Image taken August 27, 2012. Lewis and Clark passed the Clatskanie area on November 6, 1805, on their way to the Pacific Ocean. The set up camp across from the floodplain at Cape Horn, Washington. 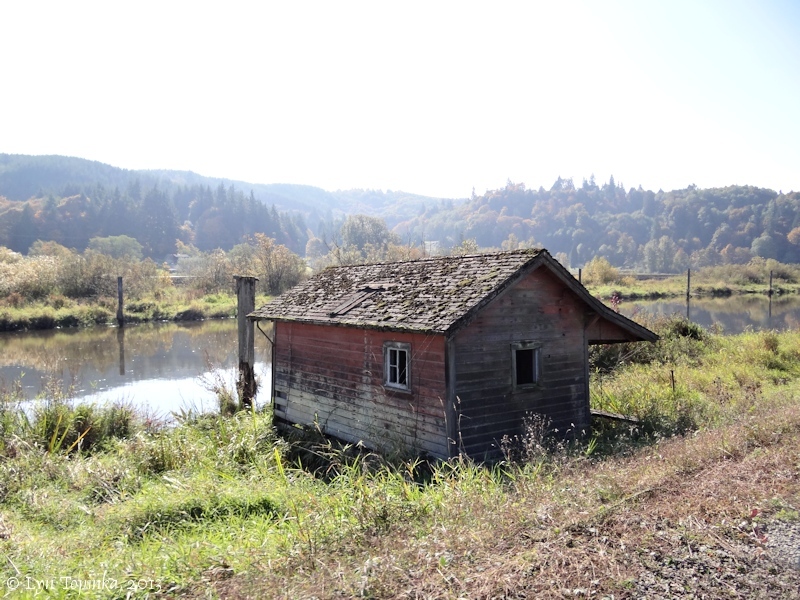 On their return they came through the Clatskanie area and set up camp on March 25, 1806, where they camped on the western bank of "a Small Creek", located in the area of today's Clatskanie/Beaver Slough mouth. 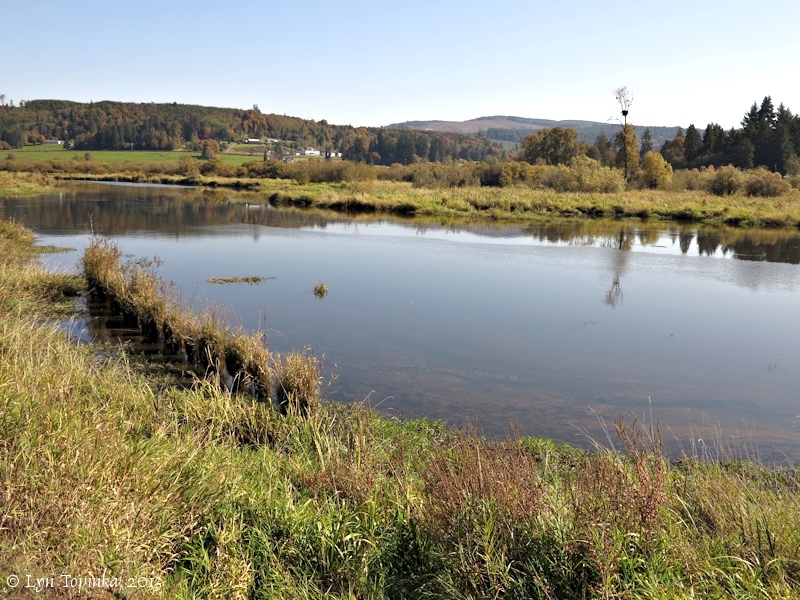 They called the Clatskanie River/Beaver Slough floodplain "Fanny's Bottom". On the Lewis and Clark journey maps, Crims Island is shown as a single island and called "Fanny's Island", while the large "eligant bottom on the South side" is part of the Clatskanie River/Beaver Slough/Westport Slough flood plain. It is shown on one map as "Fannys Valley" [Moulton, vol.1, map#81] while another map [map#89] leaves the island and the bottom unnamed. In their text, Lewis and Clark call this area "Fanny's Bottom". 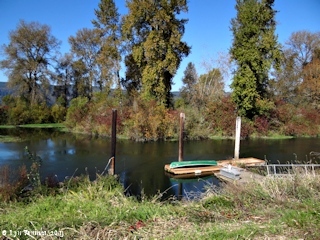 Lewis and Clark's campsite of March 25, 1806, was on the western bank of the Clatskanie River/Beaver Slough (altho possibly a different slough/mouth of the Clatskanie River in 1806, across from the upstream end of Wallace Island). Across the river on the Washington bank was Lewis and Clark's campsite of November 6, 1805, at Cape Horn (Wahkiakum County). Lewis and Clark's previous campsite was at Aldrich Point, Oregon, and their campsite of March 26, 1806, was on Walker Island. 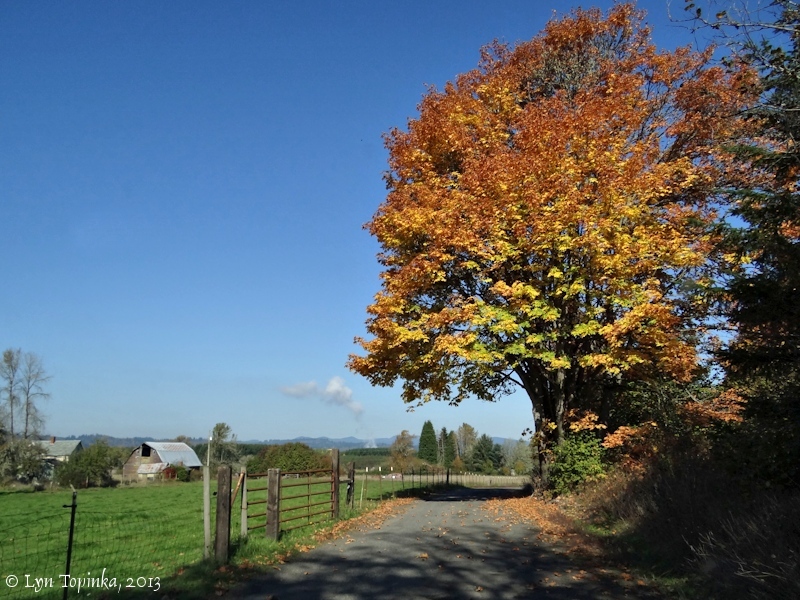 "Clatskanie was named after the Tlatskanai tribe of American Indian, who lived in the hills south of the Clatskanie River in the upper Nehalem Valley. The Tlatskanai, linguistically an Athapascan tribe, originally lived in the flat lands bordering the Chehalis River in Washington State. As game became scarce and their food supply diminished, they left the area, heading south, and crossed the Columbia River to occupy the hills traditionally occupied by the Chinook Indians, who were a large Indian tribe living along the Oregon Coast. After driving away the more peaceful Chinook Indians, the Tlatskanai established themselves within the Clatskanie-Westport area, and extended their numbers into the head of the Nehalem. The word "Tlatskanai" was used by these Indians to denote the route they took to get to a particular meeting place, applying to particular steams and not to others. White men carelessly applied this work to the name of the steam. One source lists "Tlatskanai" as meaning "swift running water." The Clatskanie is indeed a swift beautiful steam. 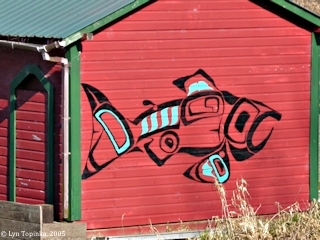 Other names that existed for the Tlatskanai were the Clackstar, Klatskanai and Klaatshan, among others." Source: Clatskanie Chamber of Commerce website, 2004. 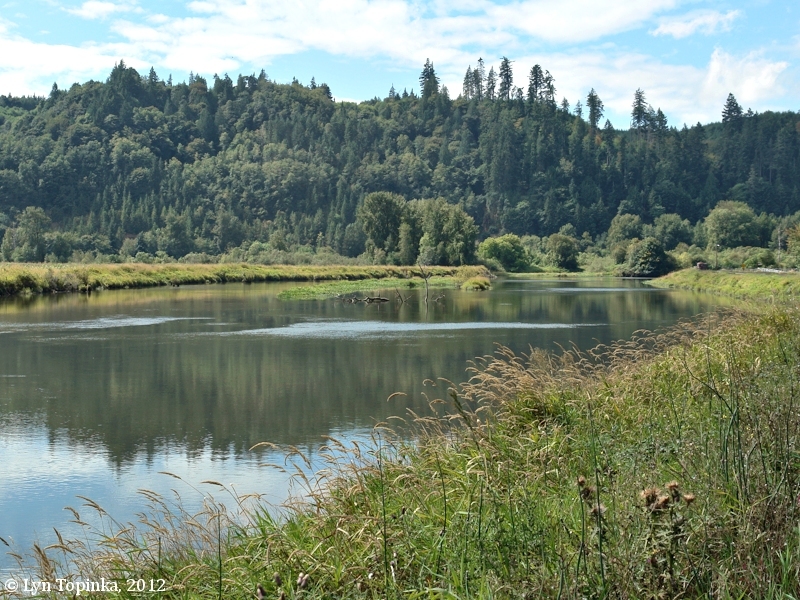 Click image to enlarge Scenic, Beaver Slough floodplain, Clatskanie, Oregon. Image taken October 17, 2013. Click image to enlarge Scenic, Clatskanie River/Beaver Slough floodplain, Clatskanie, Oregon. Image taken October 17, 2013. 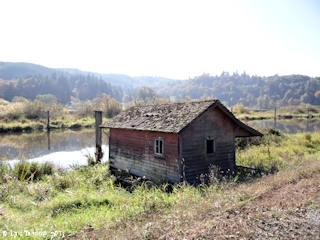 Click image to enlarge "Collection", Clatskanie River/Beaver Slough floodplain, Clatskanie, Oregon. Image taken October 17, 2013. Click image to enlarge Boat and reflection, Clatskanie River/Beaver Slough, at mouth. At Point Adams Station. Image taken February 21, 2004. 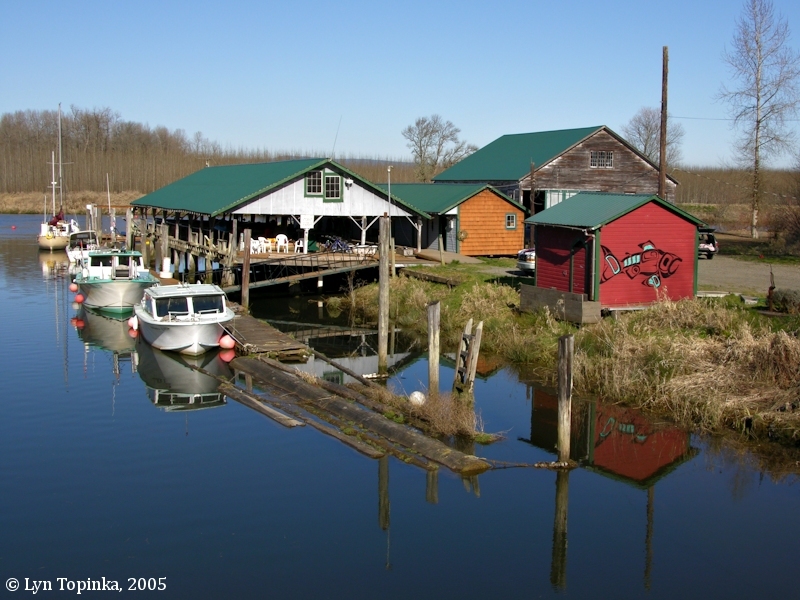 Anunde Island is a marshy island at the mouth of the Clatskanie River/Beaver Slough drainage. Point Adams is located on its northwestern tip. 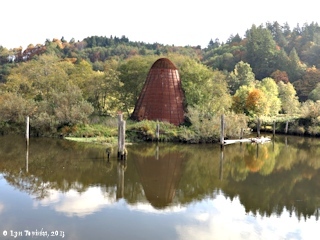 The Oregon community of Clatskanie lies three miles upstream on the Clatskanie River, where Oregon Highway 30 crosses the Clatskanie. 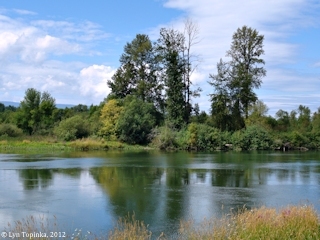 Click image to enlarge Clatskanie River, Oregon, looking downstream from Clatskanie City Park. Image taken February 11, 2004. 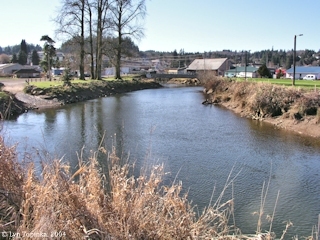 Click image to enlarge Clatskanie River, Oregon, looking upstream from Clatskanie City Park. Image taken February 11, 2004. Once the location of a fishing station. 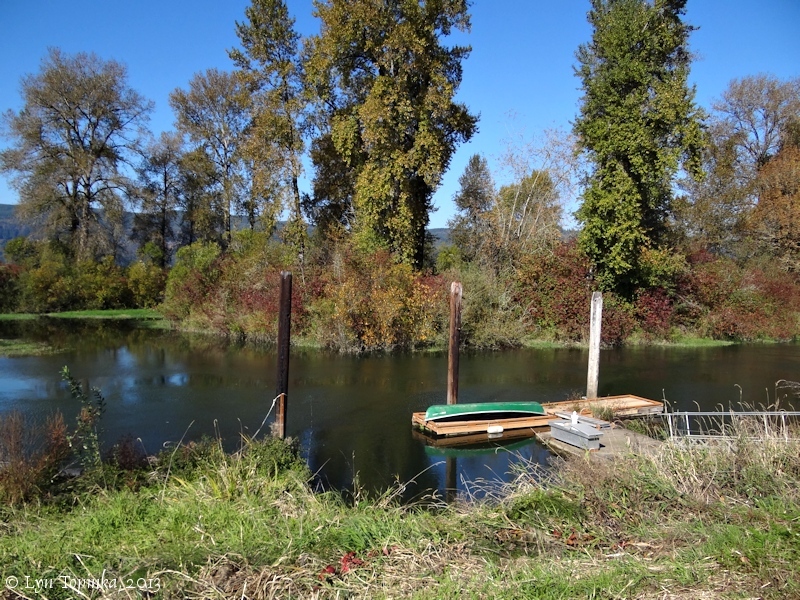 Click image to enlarge Point Adams Fish Station, Clatskanie River/Beaver Slough, at mouth. View from the Point Adams Road bridge looking at the northwestern tip of Anunde Island. Image taken February 21, 2005. 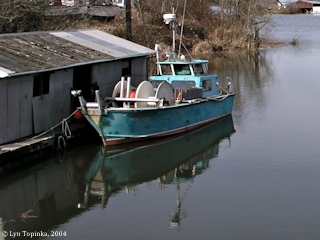 Click image to enlarge Salmon, Point Adams Fish Station, Clatskanie River, at mouth. Image taken February 21, 2005. 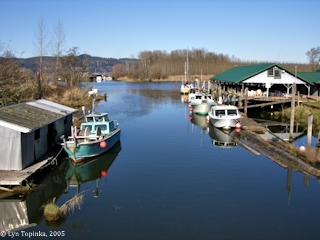 Click image to enlarge Point Adams Fish Station, Clatskanie River, at mouth. View from the Point Adams Road bridge looking at the northwestern tip of Anunde Island. Image taken September 17, 2012. Click image to enlarge Clatskanie River at Point Adams Fish Station, looking upstream. View from the Point Adams Road bridge looking upstream. Image taken September 17, 2012. 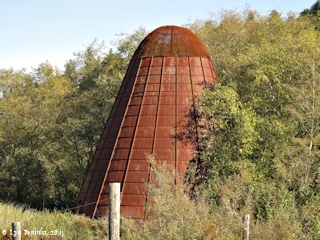 A wigwam burner, also known as teepee burner or beehive burner, is a free-standing conical steel structure used in logging mills to dispose of waste wood and sawdust. 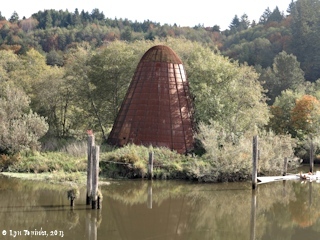 The wigwam burner along Beaver Slough near Clatskanie, Oregon, was part of the Benson Timber Company, a company which began operations in 1902 and closed it doors in 1936. Simon Benson, along with partner O.J. Evenson, were the originators of the unique cigar-shaped ocean-going log raft, known as the "Benson raft". 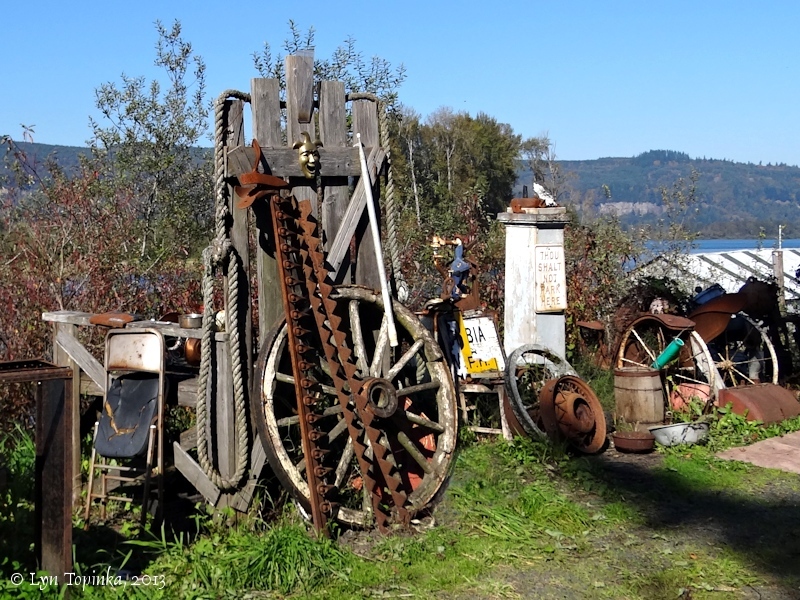 From the mill in Clatskanie, these rafts of logs were then assembled on the quiet waters of Wallace Slough and towed to San Diego, California.